CREEPY! Mysterious Phantom Clown Sightings. SecureTeam10 provides an excellent explanation of this phenomena. It is time to be wary of these so-called “clowns”. Recently there was a report of a young girl brining a knife to school because she was scared of these clowns. The “desired” or intended affect on the community seems nefarious and seems to be another assault on our senses. 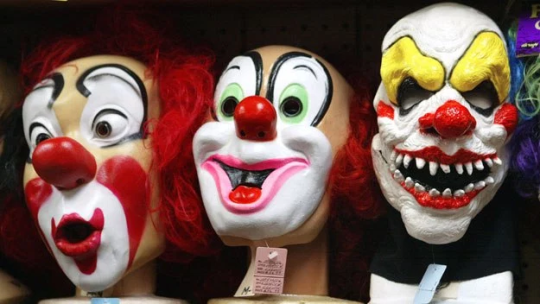 [CBS Boston] Police say a fearful 11-year-old Georgia girl who took a knife to school told officers she needed the weapon to fend off clowns.